The expansion joints are also known as contraction joints or Pipe compensation connector for connecting pumps, valves, pipes and other equipment to pipes.During the maintenance and installation process, the expansion joint can be adjusted according to the size of the field installation.Because the widely use of the expansion joints,designers invent many kinds of expansion joints to meet different requirements.expansion joints are common in life and there are many kinds of them.Here I will introduce you the seven types of expansion joints. The quality of expansion joints can be divided into QT-400, Q235A, HT20,304L, 316L and so on.The expansion joints is a protective measure that serves as protection.at the same time,it must also pay attention to the area of expansion, higher temperature, and larger area of force. After the brief introduction of the expansion joints,I want to introduce you the types of the expansion joints.The expansion joints can be divided into seven types.Now I will introduce them to you one by one. AY type gland expansion joint is a loose tube connecting device composed of a body,a sealing ring and a pressing parts.at the same time,it mainly absorb the axial displacement and can not withstand the thrust compensation joint pressure. 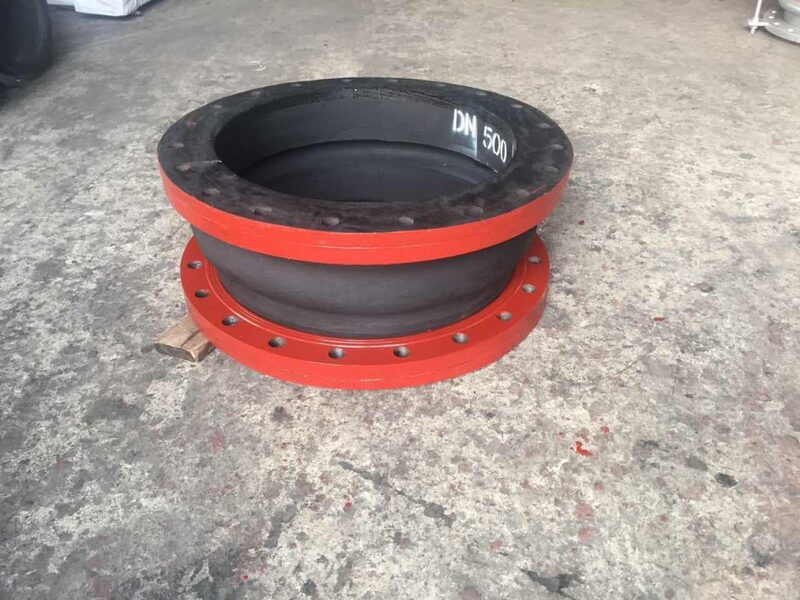 One side of AF type flange loose expansion joint connects with flange,the other side connects with the pipe.It doesn’t needed to be welded and has the advantage of compact structure,reliable seal, and convenient in installation. When installing the BF type single flange limit expansion joint, adjust the installation length of both ends of the product and the pipe or flange.Tighten the gland bolts in sequence and adjust them again, which makes it easy to limit the position of the screws so that the pipe can be retracted freely within the telescopic range, thereby locking the amount of expansion and contraction to ensure safe operation of the pipe. Type 4:B2F type Double-flange limit expansion. 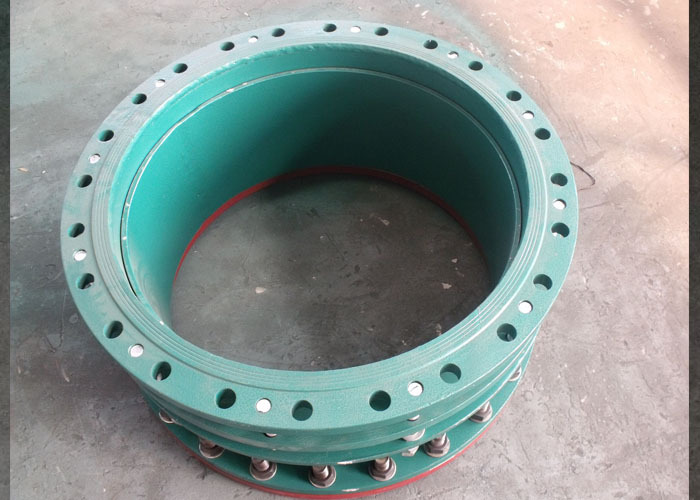 Both sides of the B2F type double-flange are connected by flange.During installation, the connection length between the product ends and the flanges can be adjusted. Tighten gland bolts evenly and adjust limit.In this way, the pipe can be flexibly expanded and contracted within the amount of expansion can be locked to ensure the safe operation of the pipe. Both ends of the BY type gland loose limit expansion joint are welded to the pipe. When the sealing tube expansion joint is loosened, the gland nut should be loosened. And after adjusting the installation length, weld the short tubes and pipes at both ends. Finally, tighten the nut evenly with the diagonal method. CF single flange power delivery joint is composed of loose sleeve expansion joint ,short tube flange, drive screw and other components. It is a new product that is connected to pipes such as pumps and valves, which are connected by full bolts.And integrate it, and then make some adjustments to adjust the installation size according to the installation size during installation and maintenance. The C2F double- flange power delivery joint is composed of a flange type expansion joint and a short pipe flange and a force transmission screw. It can reduce the pressure thrust (blind plate force) of the connecting part and compensate for the pipe installation error. The force transmission joint cannot absorb axial displacement. This entry was posted in Rubber Expansion Joint. Bookmark the permalink.